Testimonials & Reviews - Cypress, TX: Borislava Johnson, N.D.
Dr. Borislava Johnson always appreciates feedback from her valued patients. To date, we’re thrilled to have collected 13 reviews with an average rating of 4.85 out of 5 stars. Please read what others are saying about Dr. Borislava Johnson below, and as always, we would love to collect your feedback. I find Dr. Johnson to be very compassionate, a great listener, and full of wisdom. Dr.Johnson is patient , caring, and thoroughly explains results and treatment options, with many opportunities to ask questions! Very good experience and very helpful. Dr. Borislava was kind and patient in her words to me. Excellent experience, i would recommend anyone to come and visit Dr. Borislava Johnson if you have serious issues and can not get answers from your own Doctor. She listened patiently and answered all my questions. Thank you Dr. Borislava Johnson. I had a severe case of colitis, Dr. Borislava was very nice and listened to all my concerns and explained what would be the best treatment for me. I feel much better now. I will definitely keep seeing her until I complete my treatment. I enjoyed our conversation, it was very educational. I liked the decision process for what to do for the next steps. I had an amazing experience!! 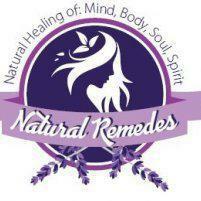 Cant wait to start feeling better with natural homeopathic remedies. I would highly recommend Dr Johnson, after years of struggling with my health I finally have some answers as to what is wrong. She spent the time to go over all my symptoms and put a plan in place to address them. Dr. Johnson is attentive to my needs. She is patient and explains every issue I have with upmost dignity and respect. I recently had lab work and she took the time to scan through it and brought some things to my attention that I was not aware of. I strongly recommend this place to whom ever is seeking alternative medicine.